Be the first to hear about their new releases and deals. Download the Booksprout app and search for S.D. Shannon today! S.D. Shannon was born in North Carolina in 1974. Her family struggled with financial troubles, as did many in her community. Growing up with attentive, caring, loving parents helped her overcome the depression and anxiety she developed as a teenager. 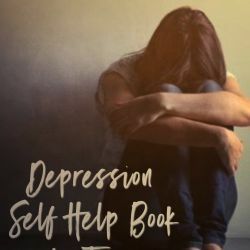 From those dark years when she dealt with depression on a daily basis, came this wonderful self-help book that she wishes to share with teenagers all over the world. Any person suffering with depression is welcome to use the drug-free, natural remedies set forth in this work. Her only wishes to help others overcome their own depression, fight back, release the happiness in their lives, and live fuller, happier lives. As an adult, she has traveled the world, seeking new, creative ways that ordinary people fight against depression. The tactics that worked, she gathered together, sorted through, tried for herself, and then compiled them into a book. For years, she helped family, friends, members of her mother’s church group, and a support group for teens fighting depression. She used the activities and remedies set forth in her book to help many people before there was a book to even speak of. Now, after years of research, trial and error, she has put together some simple, reliable, drug-free, all natural remedies and activities to help you beat your depression and start living happier and freer right now.